This is one of the most advanced and practical cultural competency seminars run around the country, developed right here in Arnhem Land. Run for over 25 years drawing on 40 years interface between Yolngu and Balanda in Arnhem Land. A seminar for both Balanda and Yolŋu who are interested in understanding each other better. Come as a team, go away with a real new understanding of each other. Become aware of hidden cross-cultural traps. Receive useful, hard to come by information. Learn new dynamic communication skills. Discover what makes humans different. Get answers to many questions. If you are interested in attending from across the country you will find it relevant for your situation also. Designed to help build long-term cross-cultural relationships in the workplace and the community. Join us for this unique learning experience where you can be part of the solution. Register now. Many people looking for good Cross-Cultural-Awareness training could do little more than simply read the book “Why Warriors Lie Down & Die”. With over 50,000 copies now in circulation around Australia and across the world, many people from a wid e cross-section have attested to the book’s incredible ability to take the reader on a mind-opening journey to the other side of the cultural divide. Richard Trudgen’s seminal work provides positive information and knowledge to equip readers to be more aware, informed and skilled when they enter any cross-cultural environment. Try it, you will soon be buying copies for your friends. Click here for more info on the book and how to buy it. 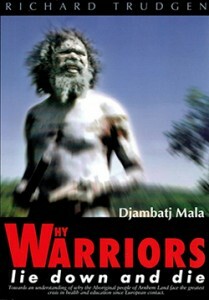 All income from the book goes to our community development work with the Yolŋu people of Arnhem Land. Live online Cross-Cultural, Cultural-Awareness, Cross-Cultural Communication, Cultural Competency, Community Development, Community Education and Working Safely in a Cross-Culture Environment or a mix of all the above workshops can now be delivered online. 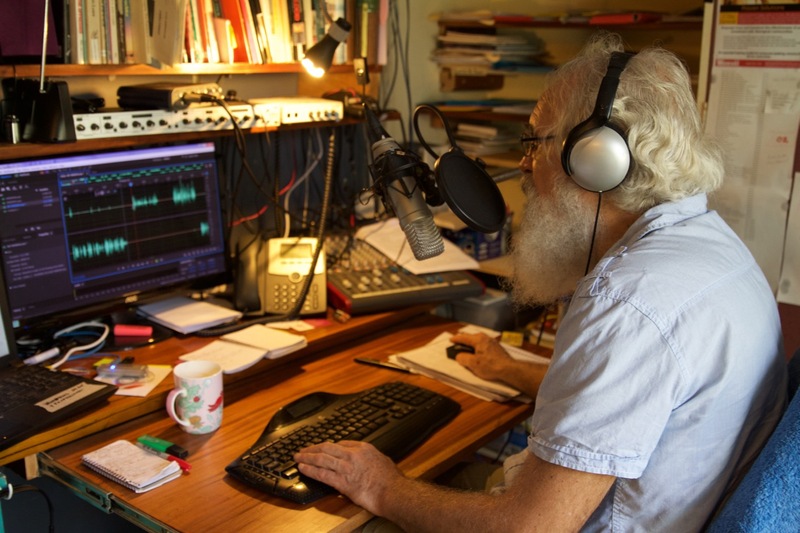 After listening to your needs Richard will build an appropriate online experience for your organisation, workgroup, high school or other interested group and then join you on-line from Arnhem Land. 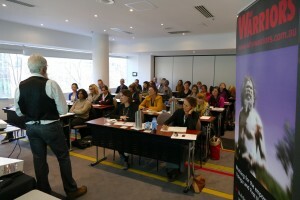 Workshops can range from 2 hours to a number of days. A new way to bring essential cultural or community development training to your group where you are. Get in touch with us now. If you are interested in some tailored training for your group or organisation, please get in touch with us. Our “Understanding Each Other” two day Bridging the Gap Seminar has been operating nationwide for 15 years. It presents an opportunity to gain breakthrough insights into the original Australian Aboriginal culture and discover real solutions to many of the problems Aboriginal people currently face. 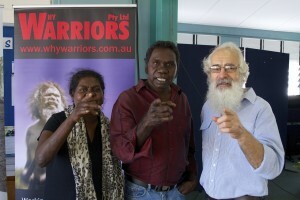 The seminar speaks to both sides of the cultural divide – Aboriginal people and mainstream dominant culture Australians. Both get answers to “questions that they have carried most of their life”. It uncovers the human elements needed to bridge the gap, building long term cross-cultural relationships in the workplace and the wider community. All will walk away with the tools to create real change. It is presented by dual culture team consisting of 2 Yolŋu leaders Witiyana Marika, founding member of the Yothu Yindi band, Dianne Gondarra and Richard Trudgen. Click here to view testimonials video. Other participants quotes Click Here. If you are interested in participating in a Bridging The Gap Seminar near you, please register your interest. 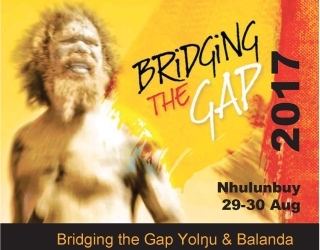 For information or to register for 29 and 30th Aug Nhulunbuy Seminar Click Here. Or if you would like to partner with us to bring an event to your location, please contact us. Together, we can change the cross-cultural face of Australia. In the past, a number of Aboriginal cross-cultural workshop leaders have asked us to do a Train the Trainer course for them. We have now decided to do this course. However, we have lost contact with those interested workshop leaders. Richard Trudgen will run this course that could range from 2 to 5 days, depending on needs. If you would like to find out more about our Train The Trainer programme, please contact us.